The property is very spacious and the location is great. Pablo sent us an email through booking and provided a phone number to call on arrival. He was at the property waiting for us when we arrived and gave us info on the property and surrounding area. He gave us recommendations on the Metro, restaurants, stores and even called a taxi for us when we checked out. The property is large enough to accommodate a family with children. Full kitchen with a large fridge. Grocery right next door. Several restaurants and pharmacies. Metro within walking distance. 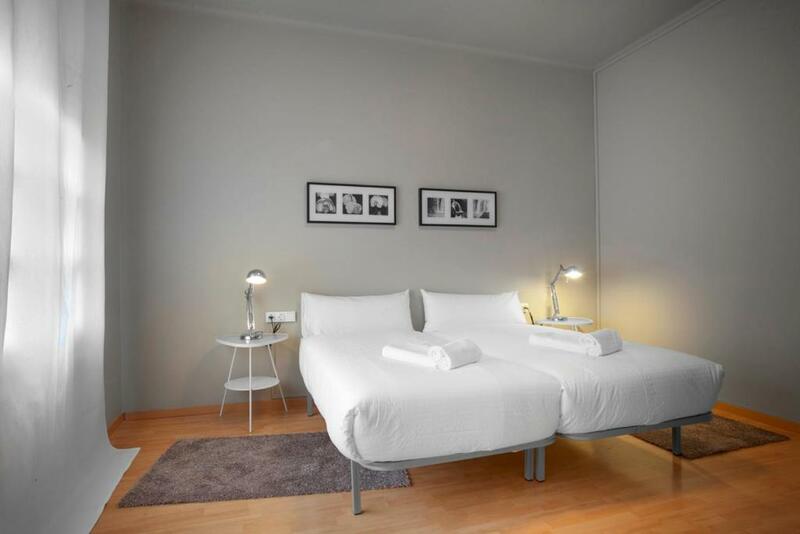 Central location and cleanliness good, beds very comfortable and linen clean. Excellent Supermarket next door. Clean, comfortable, good location. Ideal with 4 bedrooms as we were a party of 5 guys so worked perfect. Very nice apartment, perfect for 5 or 6 people, on a perfect location in Barcelona. Lot of nice restaurants and pubs nearby, close to subway, La Rambla street and airport buss stop. Very comfortable apartment with nice beds, very clean, with fully equipped kitchen. Definitely worth the money. Recommending big time! Apartment location was great . Everything on the door step . Very great location! 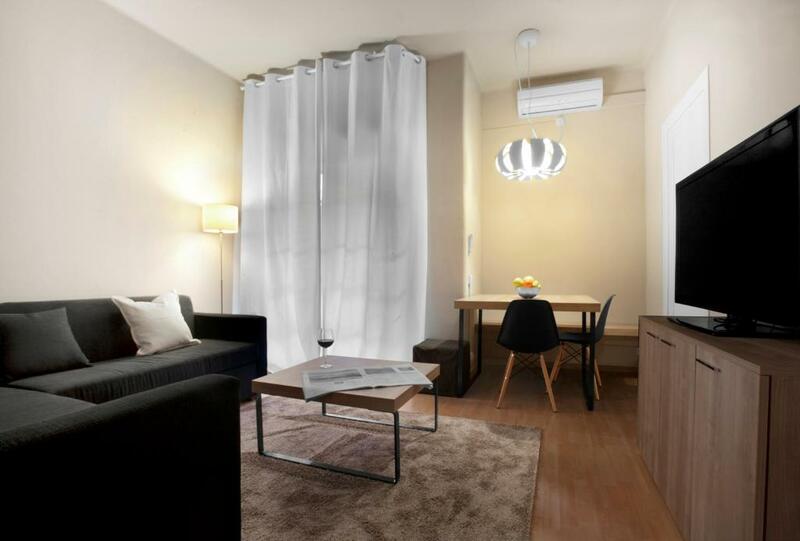 Ca 5-min walk to the Metro station + grocery shops and restos just almost every corner! Big space too good enough for the whole gang. And we loved how we can prepare for our own breakfast since the apt has a kitchen. The location of the property was excellent and the host that meet us was very friendly and informative. One of our top picks in Barcelona.Exclusive Centric Apartments II is centrally located, 10 minutes’ walk from Barcelona’s Plaza Catalunya and The Rambla. 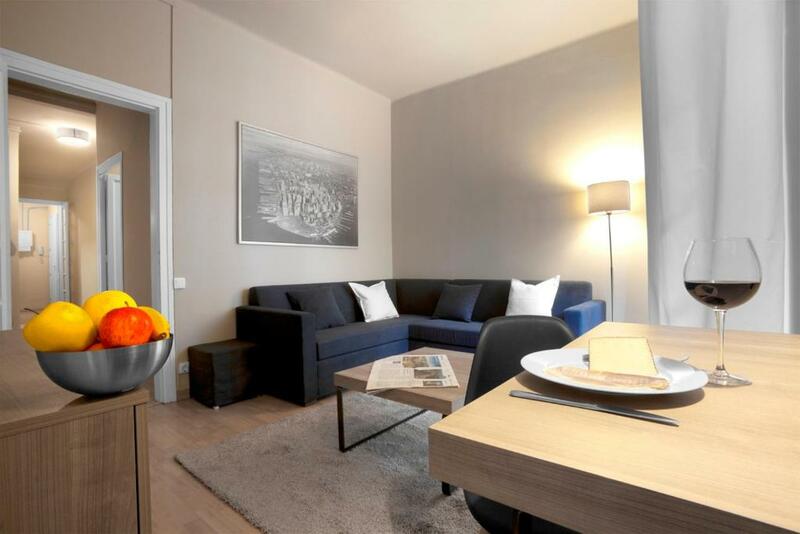 The bright modern apartments are air conditioned and feature free Wi-Fi and a private furnished terrace. The tour desk can arrange tickets for Camp Nou Football Stadium. 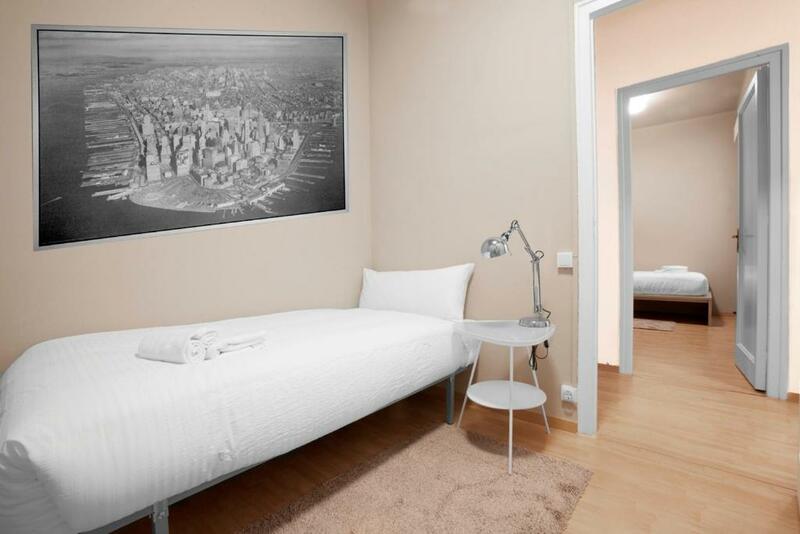 The apartments are 5 minutes’ walk from Urgell and Sant Antoni Metro Stations, which connect guests to Passeig de Gràcia and Gaudí’s Casa Batlló in 15 minutes. 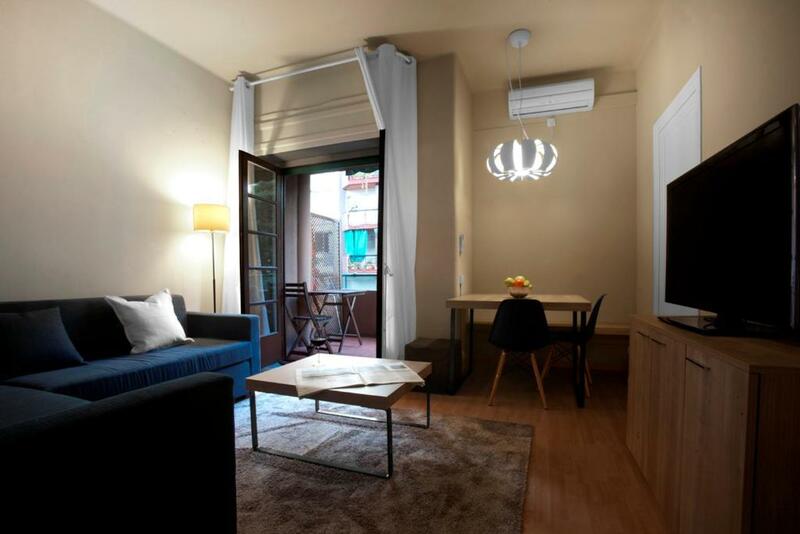 Barcelona’s Gothic Quarter is 1,650 feet away. 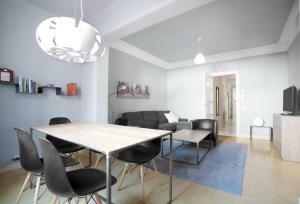 뀐 Located in the real heart of Barcelona, this property has an excellent location score of 8.5! When would you like to stay at Exclusive Centric Apartments II? 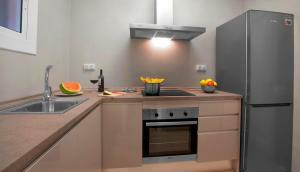 The bright modern apartments are air-conditioned and feature free Wi-Fi and a private furnished terrace. Apartments have a living room with a sofa and flat-screen TV. There is a private bathroom with a hairdryer. 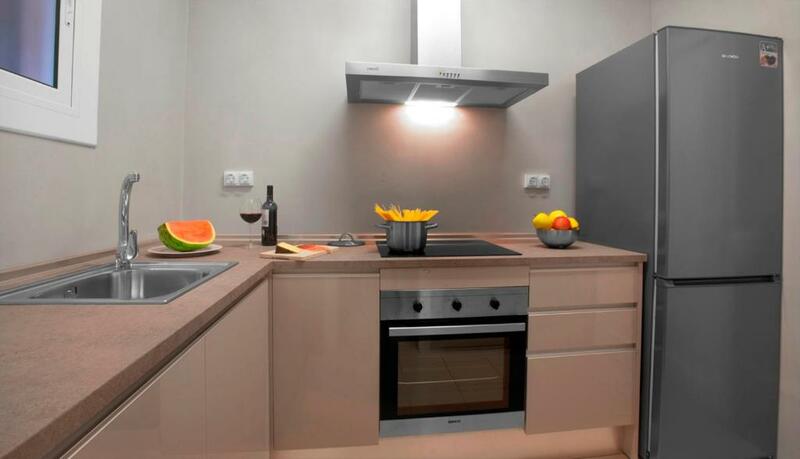 The well-equipped kitchenette includes a microwave, dishwasher and washing machine. House Rules Exclusive Centric Apartments II takes special requests – add in the next step! Exclusive Centric Apartments II accepts these cards and reserves the right to temporarily hold an amount prior to arrival. After 23:00 - EUR 45. Please note that parties are not allowed at the property. Please inform Exclusive Centric Apartments II of your expected arrival time in advance. You can use the Special Requests box when booking, or contact the property directly using the contact details in your confirmation. Please note that check-in and key collection take place at: carrer floridablanca 133, barcelona 08011. Entrance lobby and stairs shabby and dark. Apartment was soleless and basic, towels thin. The pictures were deceptive on Booking.com as the only windows letting in light looked out onto the flat roof of businesses below and were strewn with debris. The balcony was heavily fortified with spiked railings, dark and not a place to sit out and enjoy. No sink/bath plugs. Floor tiles were damaged in the lounge area. We had to ask for more mugs and no wine glasses provided. We thought we had paid for everything in advance but were asked to pay for cleaning and taxes to the amount of 79 euros to be taken up with Booking.com.. The property was very low end. The toilet had a window into the laundry & kitchen. Only one set of keys worked. Due to the ground floor lift glass door not having any markings to warn people that there was a glass barrier, when exiting the lift early one morning, I accidently struck the glass with my face knocking out one of my front top teeth at gum level. This caused a lot of pain, stress and inconvenience and ended up costing AUD 4000 to repair over five visits to the dentist. This is by far the worst experience I have ever had with a Bookings.com property. Nothing we didn't like. Comfortable and clean. Maybe a bit dated but that didn't detract from or stay. Internet conection could be a little better. No cleaners the whole duration of our stay. We stayed for 5 days and 4 nights and we wouldve appreciate it a lot if the space was cleaned atleast every other day. Towels were not changed too. Cleaning was done very superficially, the kitchen equipment is very minimal (no complete sets of glasses for example, no dishwasher tablets, no drying towel in the kitchen), the doors of bathrooms have broken locks. The smallest bedrooms are not pictured on the website. We had to wait for the key, and then once more because the representative of the owner had to change us into another apartment. We were however treated with the utmost friendliness. 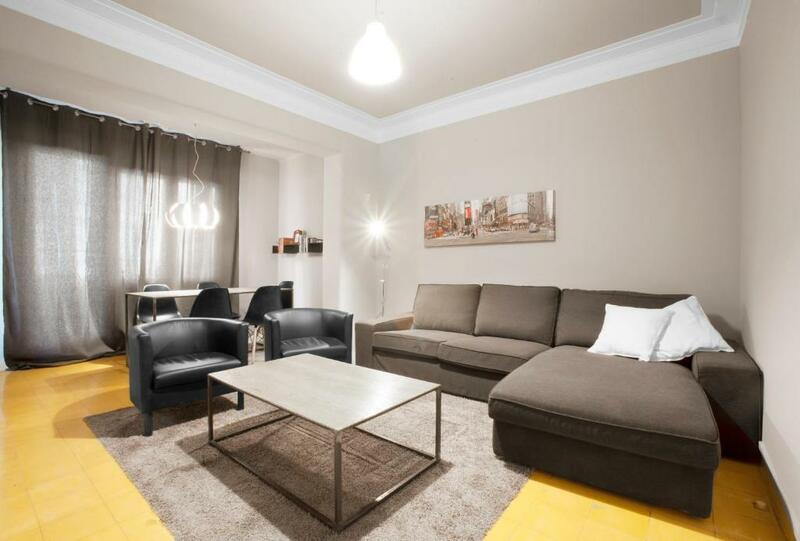 The location is very convenient, well connected and very well served by public transport, ideal vor exploring downtown, near shops and supermarket. The beds have good quality as do the covers. The apartment was dirty, the floor was hairy everywhere. One of the radiator did not work. We could occupied the room before the check-in time, the location is also a good point. Location. Lots of bedrooms. Clean bedding. Great base, kitchen equiped for our needs, beds comfy. Heating worked well, Nice balcony for a couple of chairs and fresh air in morning. The apartment is basic but clean and perfect for our needs, 2 sets of keys. Hosts were very helpful and let us drop bags early than check in and as apartment had been cleaned. Friendly host who met us at apartment and showed us everything we needed. Area very close to metro, coffee shops, restraunts and bars. If your looking for luxury then you need to pay more and stay somewhere else but this was prefect for our needs. The decor made it feel quite cold. The size of the apartment was amazing. Very spacious and clean The staff were very helpful and nice. Noisy location, no double glazing on the window/door facing the street. The roller blind outside the main bedroom did not work, and there were no curtains in the bedroom - we had to ask them for curtains. Apartment was basic and quite old. There were bugs in the kitchen. Definitely not for someone who likes quiet in the night to sleep.